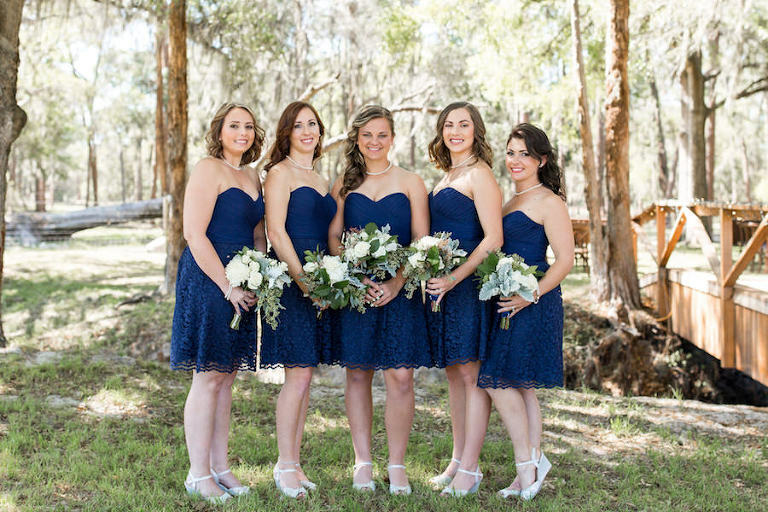 Karrie and Nate’s outdoor rustic Sarasota barn wedding featured a country chic theme with a mint, navy blue, silver and ivory color palette. 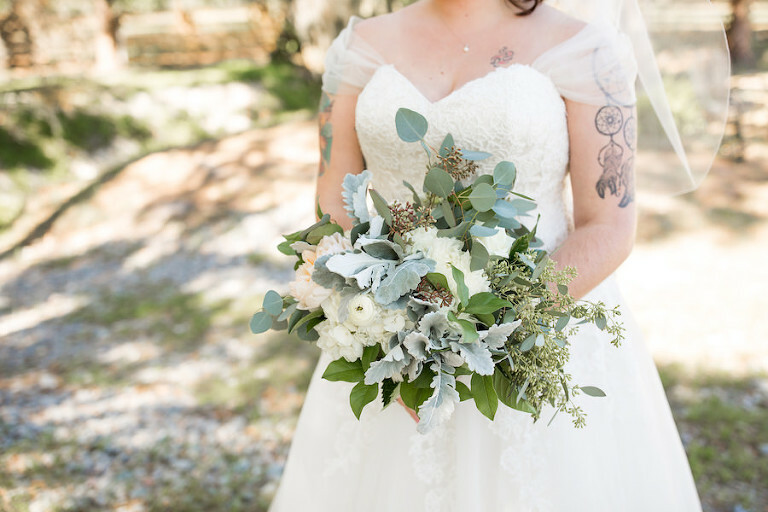 Their wedding had a special twist to it, as the entire wedding was donated to the couple by area Sarasota wedding vendors. 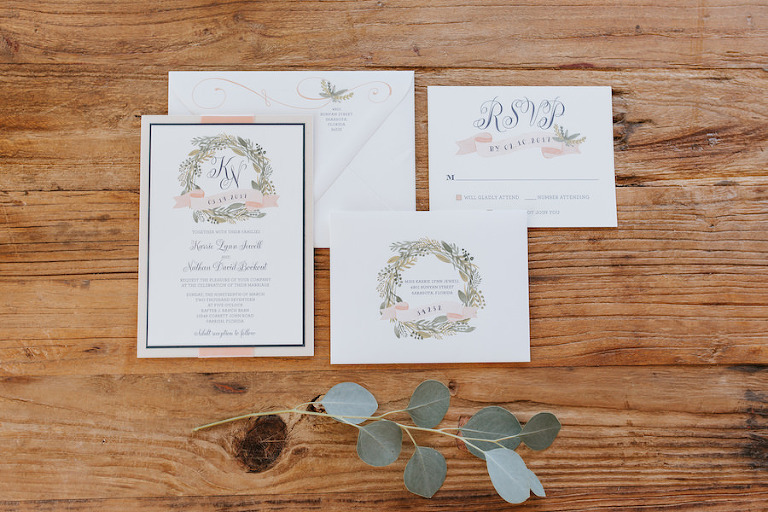 With the Sarasota couple’s vision of an elegant country wedding, the planning commenced. Generous vendors donated $40,000 of goods and services. Looking back, the entire wedding was incredible, but the couple’s most cherished moments occurred during the wedding reception dances. “Our most memorable moments were the father/daughter dance and the mother/son dance because both Nathan and I picked songs that would really stand out for our parents. The song for Nathan and his mom was also for his father, who left this earth a couple of years ago. It was He Gets that From Me by Reba McEntire. The song for me and my father was My Little Girl by Tim McGraw. 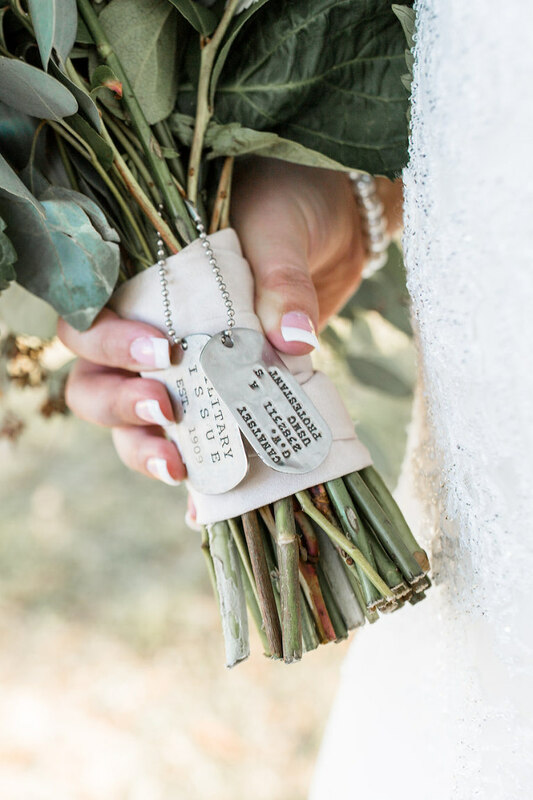 I picked this song because while I was in the military and having a hard time being homesick, my father sent the song to me in a text and made my bad days so much better,” the bride reminisced. The service provided by Jennifer Matteo Event Planning was the absolute best thing I have ever experienced. She handled everything and made us really feel like we had nothing to worry about and that was evident in our amazing day! They already had all of our vendors picked out for us. It made our wedding to stress-free. I would recommend her and have been recommending her to everyone I know! Nathan proposed in front of roughly 2,000 people at the Young Guns of Country Concert in Sarasota. I was there for work purposes and had no idea that multiple people were in on the surprise engagement, including Jennifer Matteo Event Planning and the Diamond Vault of Sarasota. County chic, because both Nathan and I are country folks, but have a classy side to us. We like the finer things in life. Mint, navy blue, silver and ivory. We just loved the way the colors looked together. We did pick navy because it is my favorite color due to being in the U.S. Navy. Get a wedding planner! Get Jennifer Matteo Event Planning if you can! It makes everything so much easier and peaceful.